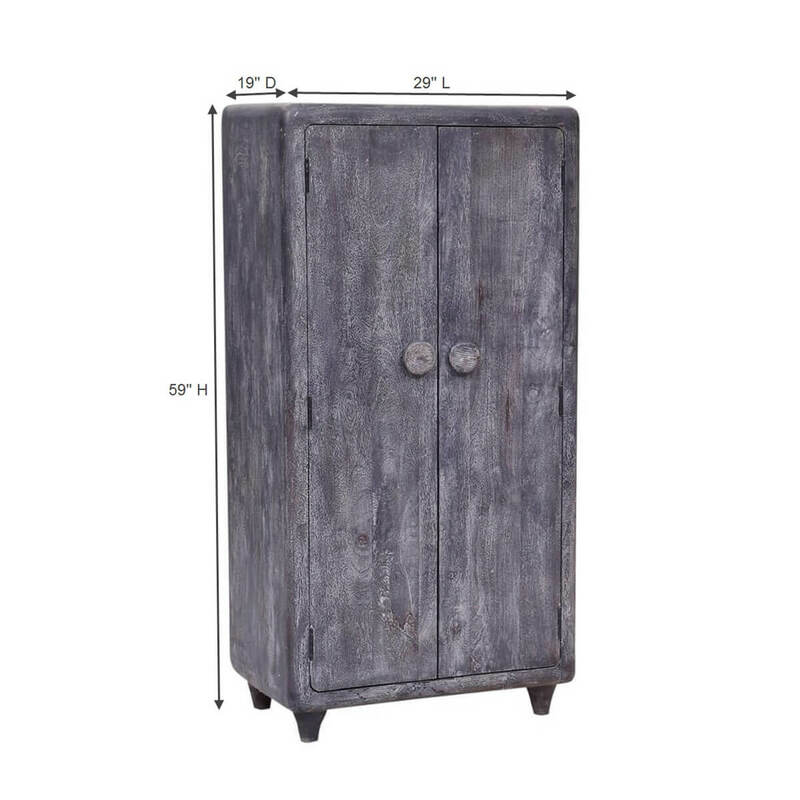 If you are looking for a stylish storage solution for your bedroom, kitchen, den, or workspace, our Taneyville Grey Wash Reclaimed Wood Rustic Armoire Cabinet is the pinnacle of practicality with 100% handcrafted appeal. 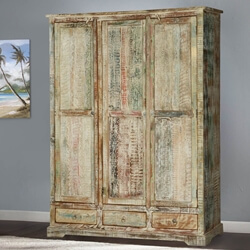 This exquisite solid wood armoire is imbued with all the warmth and character of an heirloom, with plenty enough room to stack towels, linens, clothing, pantry staples, dishes, DVDs, board games, and more. 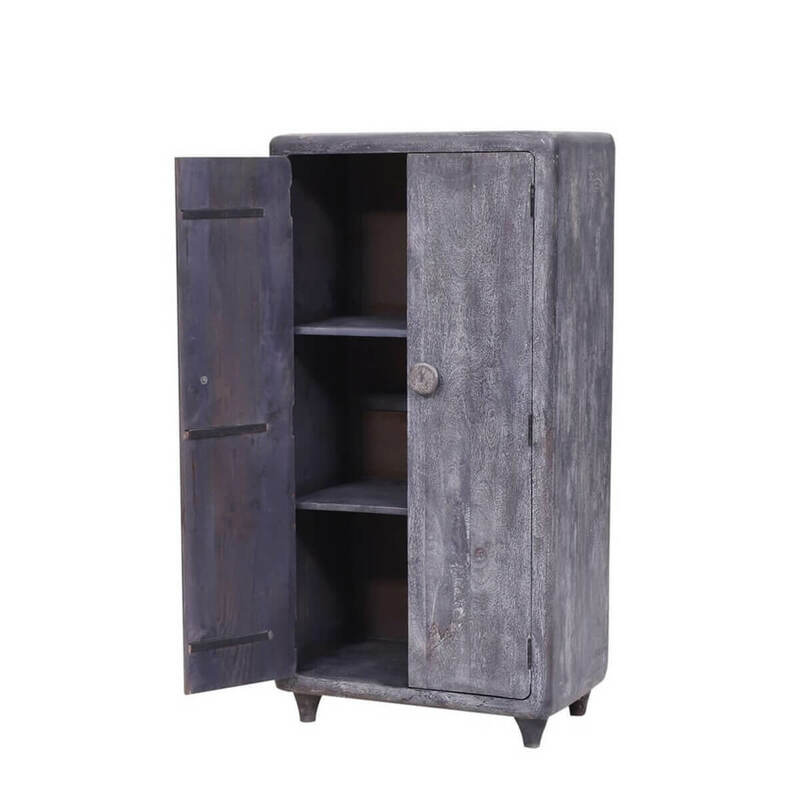 Its versatility makes it useful for storing your everyday items as well as organize off-season clothing or dinnerware. 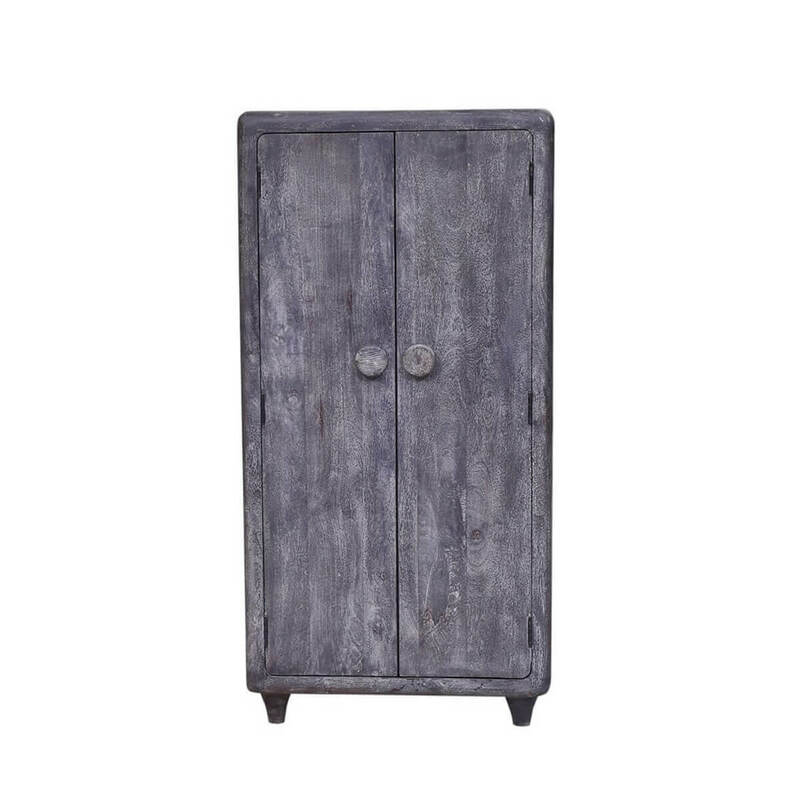 The two solid wood doors are accompanied by large wooden knobs that make for easy grasping, which open to reveal spacious interior shelving. 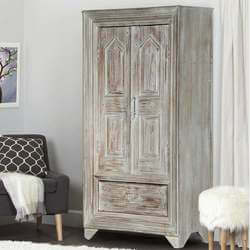 Finished in a neutral gray hue, this country sophisticate complements your existing decor with ravishing results. 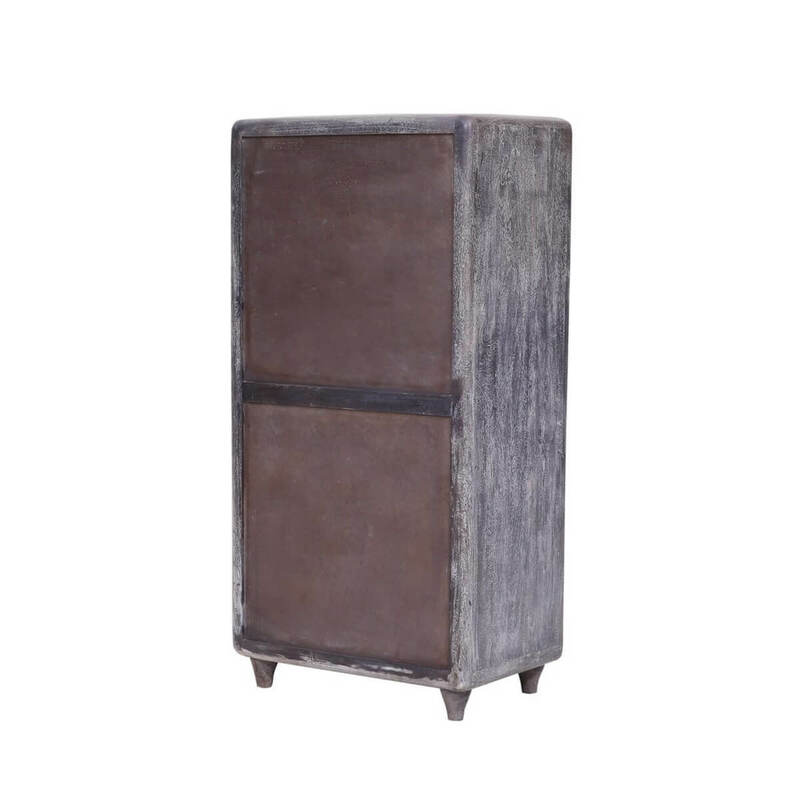 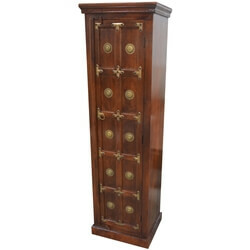 Simplistic in its streamlined design, this solid wood armoire cabinet is handcrafted with rounded corners in a lengthy boxy design, founded atop four tapered wooden legs. 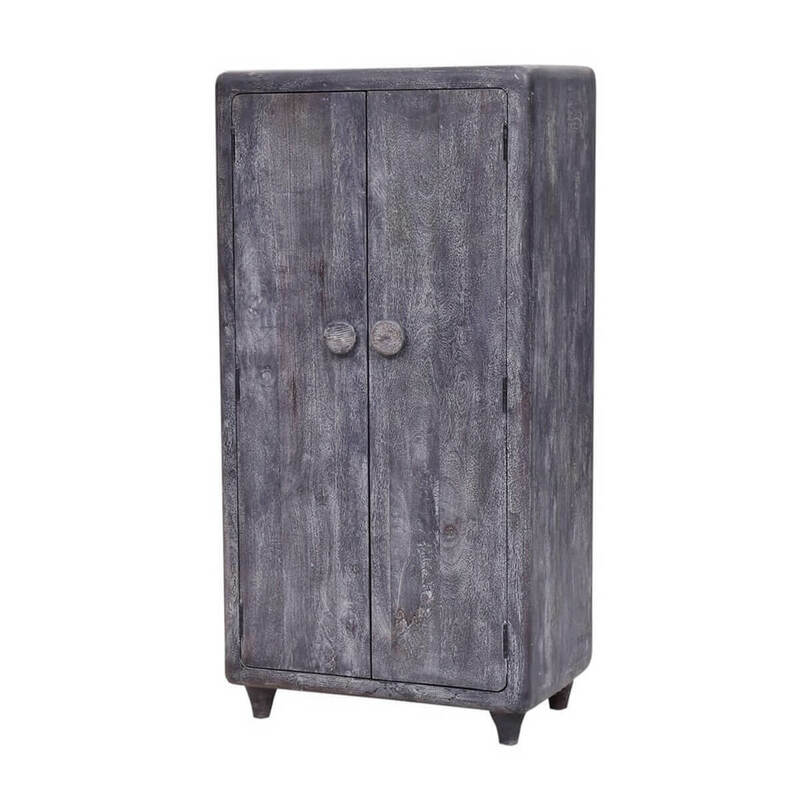 The gray wash finish evokes a rustic touch that pays tribute to the gentle swirls, knots, and grooves of the wood's natural grain. 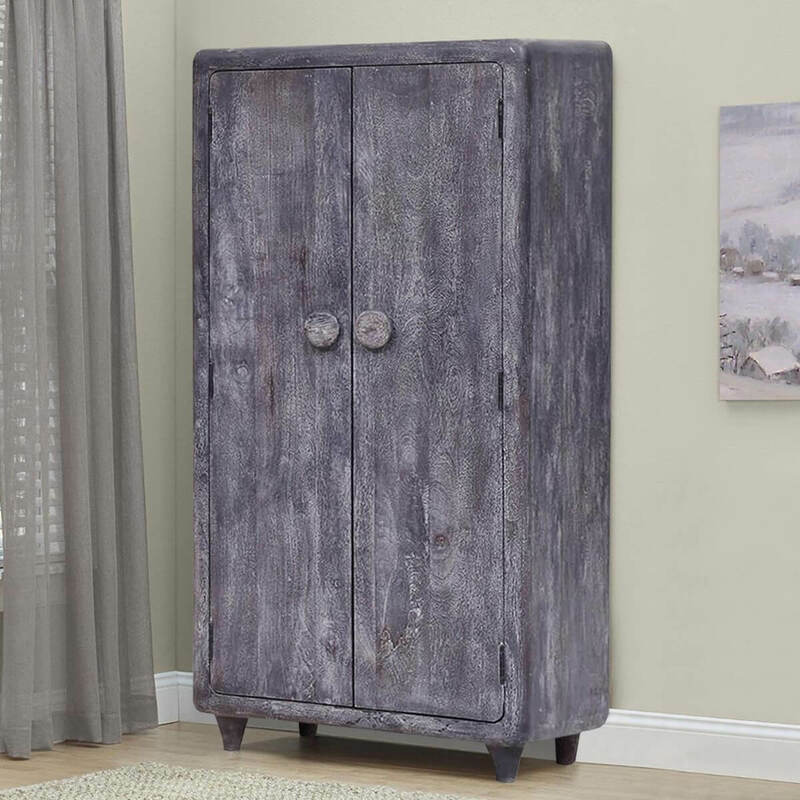 Made entirely out of reclaimed wood, this rustic linen cabinet gains instant antique quality, built by hand with old world woodworking techniques that ensure it is enjoyed and treasured for generations to come. 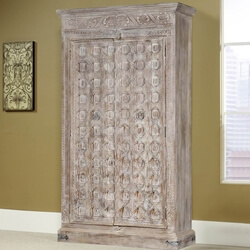 With a depth of character that is unsurpassed, this rustic armoire cabinet brings an understated elegance with casually sophisticated appeal. 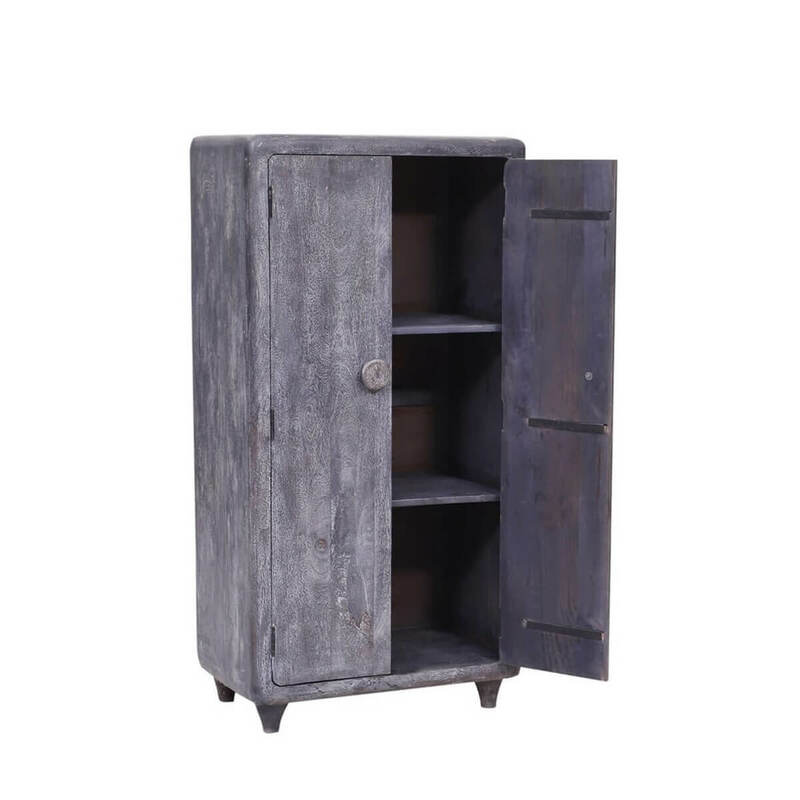 MDF at the back.